Good morning! 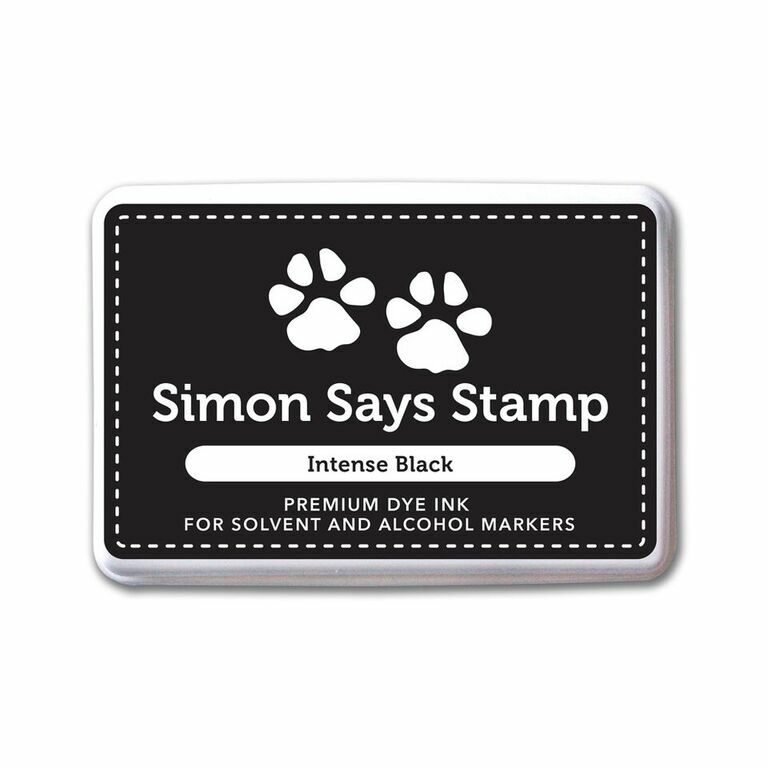 Just stopping by to share one more Simon Says Stamp card for the month - a very clean and simple thank you card! 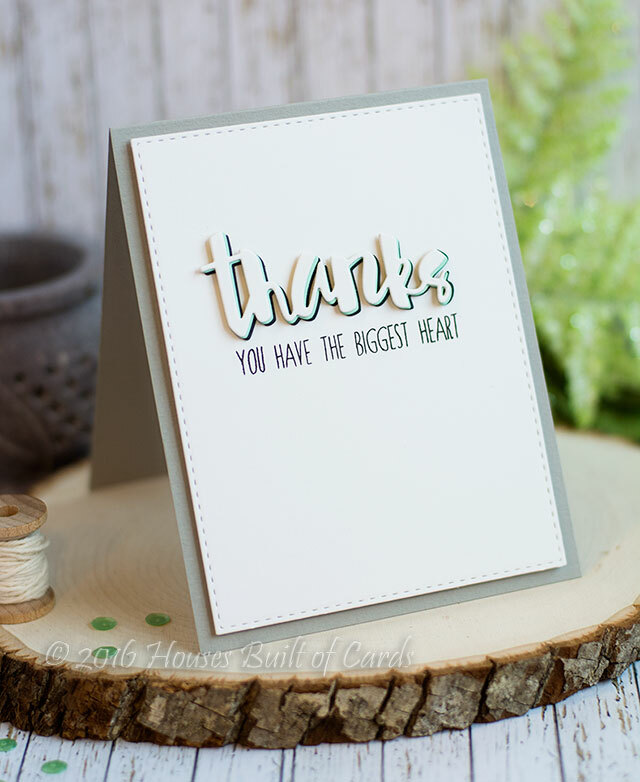 I actually had a couple of the thanks word cut out for another card, then ended up not using them as planned - so when I saw them sitting on my desk, it was only logical that they needed to end up on a card, right? So I cut a few more so that I ended up with 2 each in black, mint, and white, layered each color together, then slightly offset each color to layer the rest together for a nice thick dimensional focal point. Added a sentiment that I used on another card the other day (you can see that one HERE), stitched rectangle die, and foam to mount on a gray cardstock. Thanks so much for stopping by today! 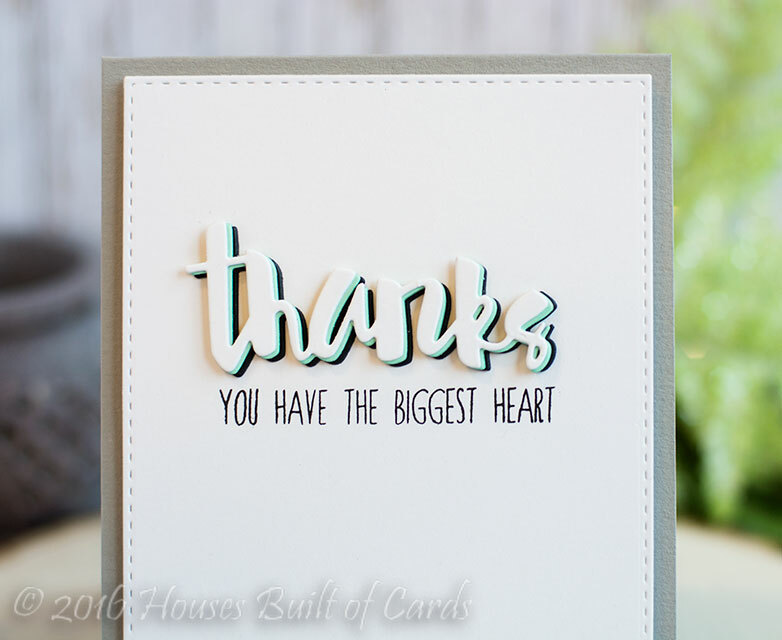 Here are links to all the supplies I used on this card - hope you have a wonderful day!!! Hello again! 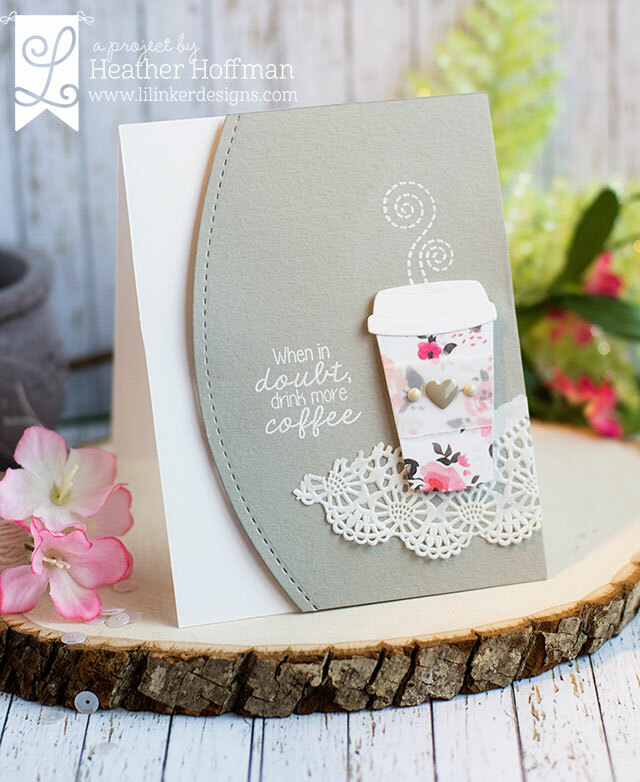 Welcome to the third and final day of the new little Valentine's Day release at Lil' Inker Designs! There are lots of fun Valentine theme things - but also stuff you can use all year around! 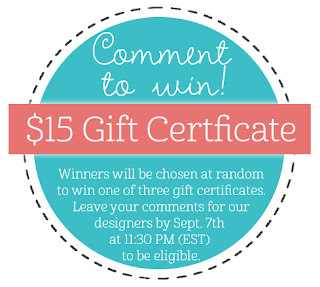 I have links to all the product I used today at the bottom of my post. 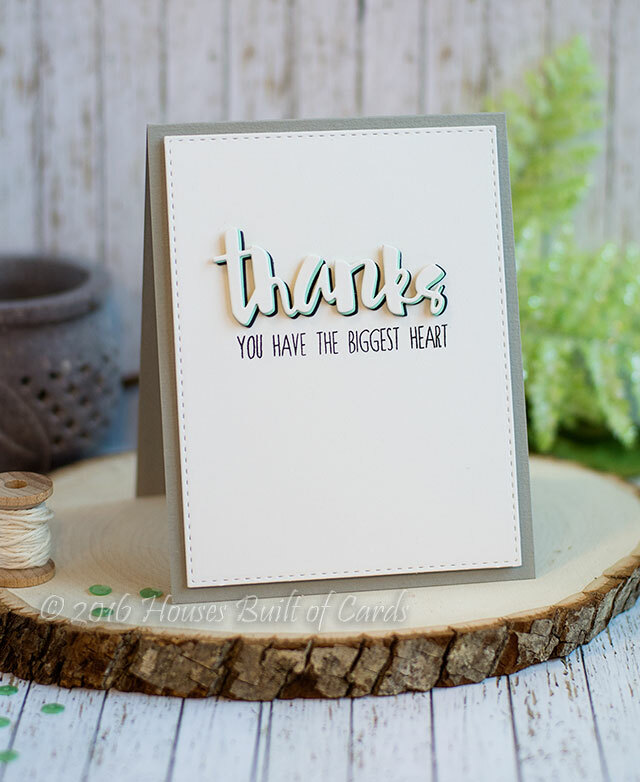 In addition to the brand new stuff, we are also featuring on this blog hop a few things that were redesigned and re-released late last year and never got much time in the spotlight. 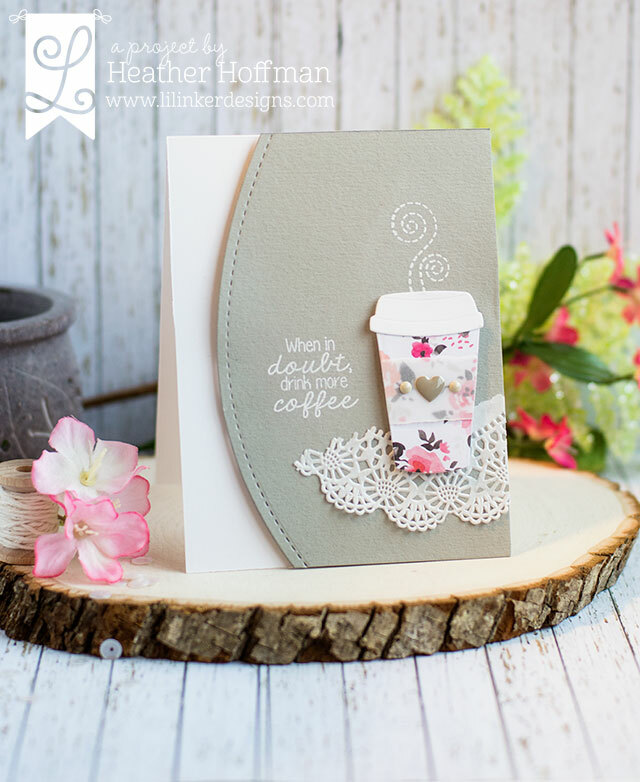 I wanted to use the Coffee Cozy Die set and coordinating Coffee Cozy Stamps to make a fun and flirty girl card - don't you wish you could buy coffee (or tea in my case since I actually don't like coffee!) in a cup this cute?!?!? I didn't cut the sleeve, because I wanted to use some vellum with a torn edge, but used the dies to cut the rest of it. Added a bit of doily underneath, some enamel dots, the sentiment heat embossed in white, then cut an edge using Border Builders Dies and mounted with foam adhesive on my white card base. 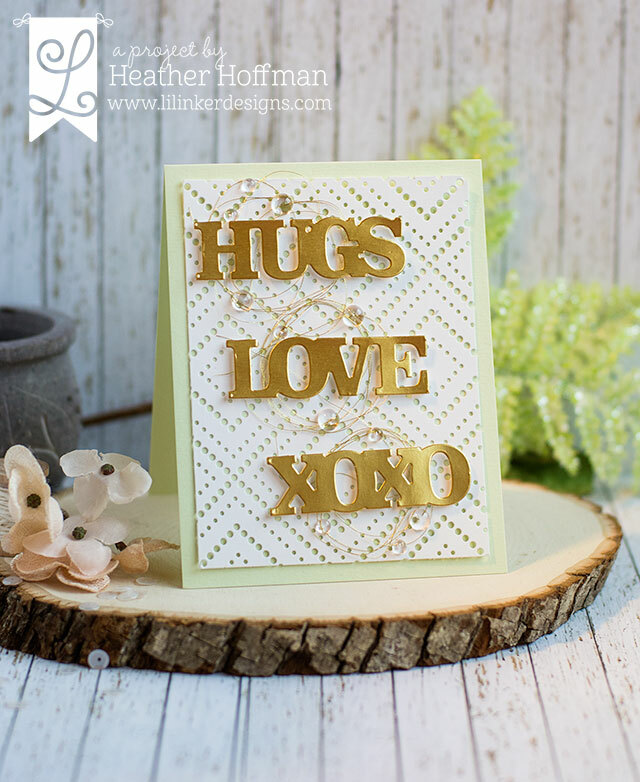 Next, I used the Valentine Word Tags Dies to make this card - these dies are so versatile, because if you don't want the tag loop, you can cut it off and you just have word dies, like I did here! 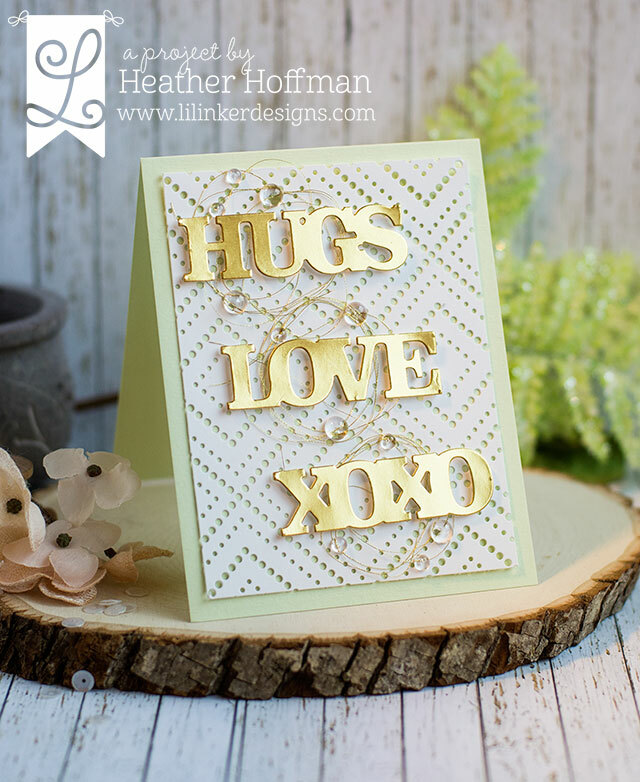 I cut them for gold cardstock, and mounted them with a twist of gold thread tucked under them over a panel die cut with the Diamond Lace Cover Up Die. Added a few Pretty Pink Posh clear droplets to finish off. 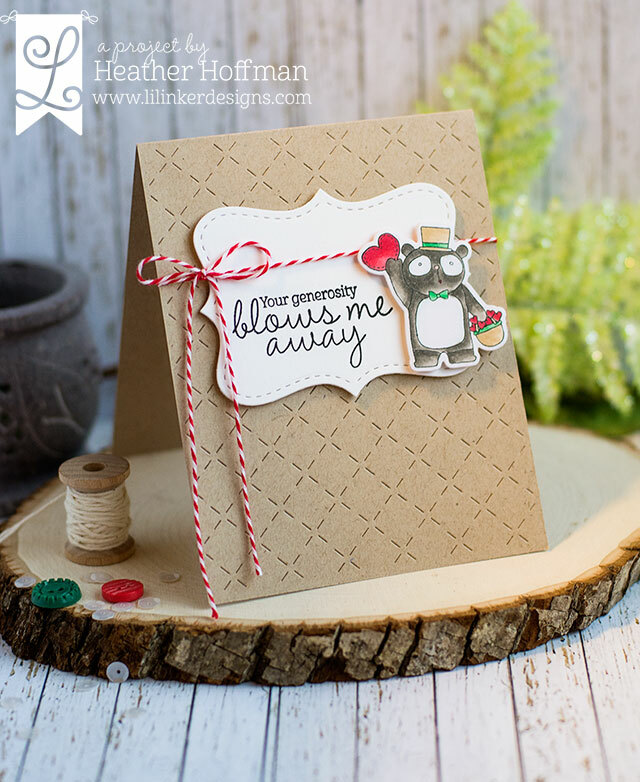 And finally, I couldn't resist another one of those cute Valentine critters - this time paired up with a sentiment from the newly redesigned Pinwheel Sentiments! I used Quilted Stitched Pattern Die for the card base, and the frame is from an older set that is being redesigned and will be releasing again soon! Colored my little animal in with Copics, then used some layers of foam to attach everything, and finished off with a bit of Baker's Twine. Here are my supplies for these three cards today - thanks for stopping by! Have a wonderful day!!! 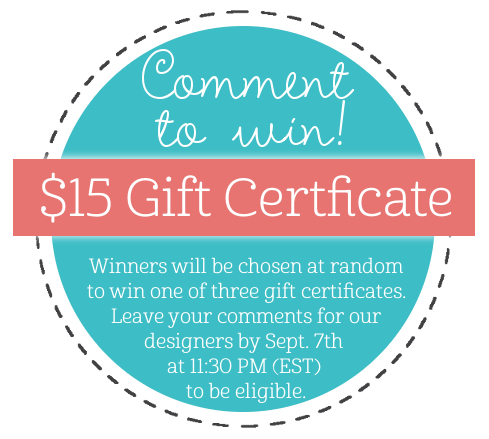 Missing Winner, PPP Post, and a Podcast! Unity Hip Hop - DIY Backgrounds - 4 Cards! Long Time Ago - Take 2! Happy Birthday Pretty Pink Posh!! !